November 17. 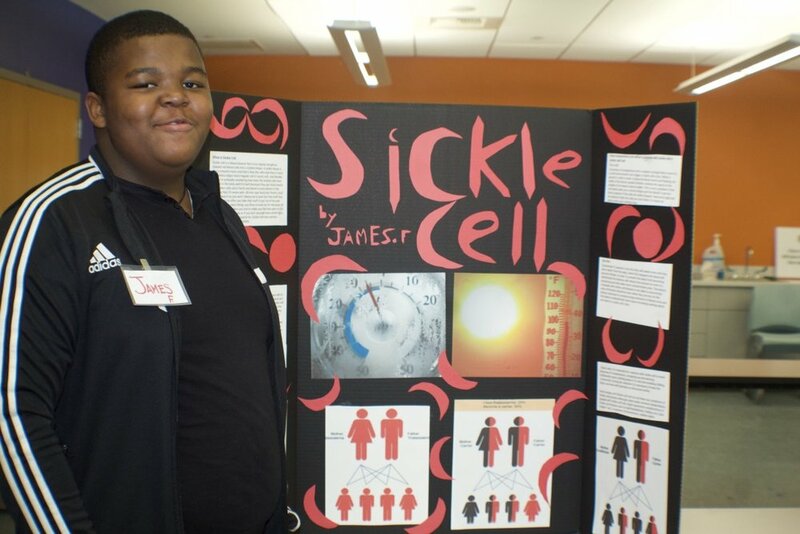 The 6th Annual Statewide Sickle Cell Symposium held at the Liberty Science Center featured a full day of activities to increase awareness, share research findings and to improve the treatment for sickle cell disease. An exciting part of the program included a Pre-Symposium Research Fair featuring student poster presentations on Comparative Effectiveness Research. Two NBCS eighth graders, Luis Rodriguez and James Felton represented the school at the Symposium. 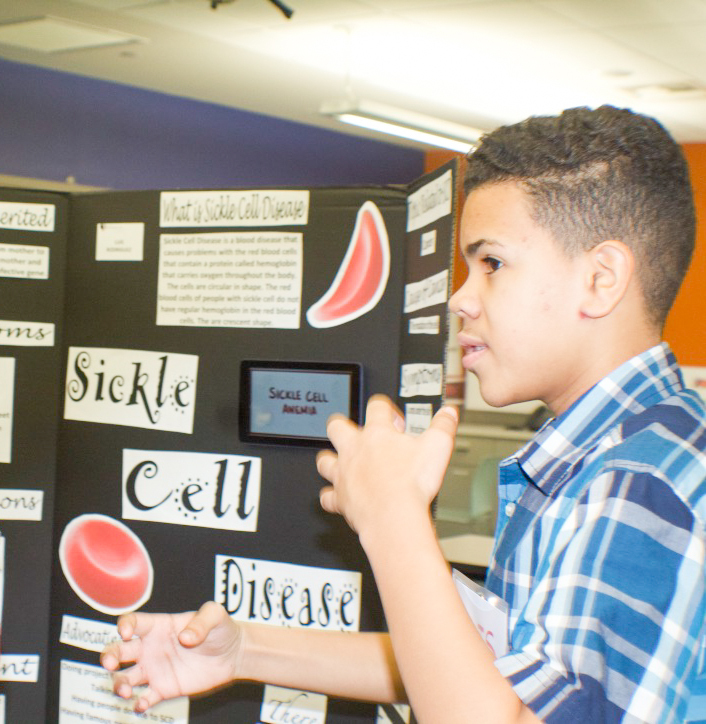 Both students had the opportunity to learn more about sickle cell disease,(SCD) help raise awareness about SCD as well as become young advocates about sickle cell disease as they presented the information gathered from their research about sickle cell disease and issues related to it. “I am so proud of these two young men!! !” concluded Sakiyyah Darden, SCANJ staffer.